Keep warm and show off your favorite superhero with this awesome reversible Wonder Woman hoodie! 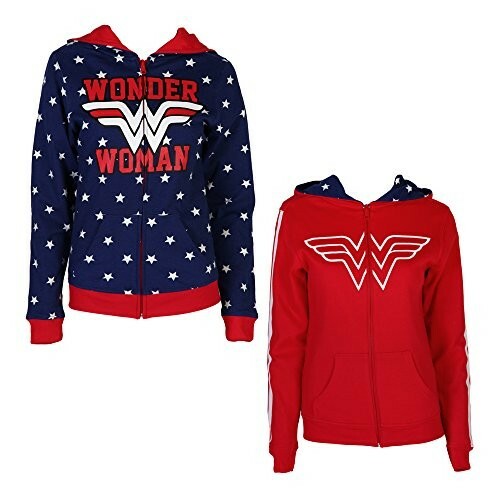 This 60% cotton, 40% polyester hoodie is blue with white stars and red accents on one side, and red with white accents on the other. Available in juniors sizes small (US size 3 - 5) to extra-large (US size 15).